Description: Over 30 projects, for all stitchers, from beginner to expert. 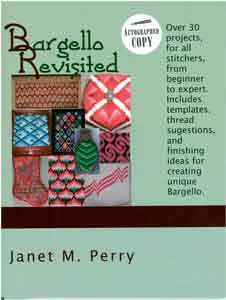 Includes templates, thread suggestions, and finishing ideas for creating unique Bargello. 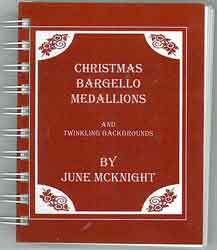 Description: Christmas Bargello Medallions contains samples of designs to be stitched using sparkling threads and suggestions for twinkling backgrounds.